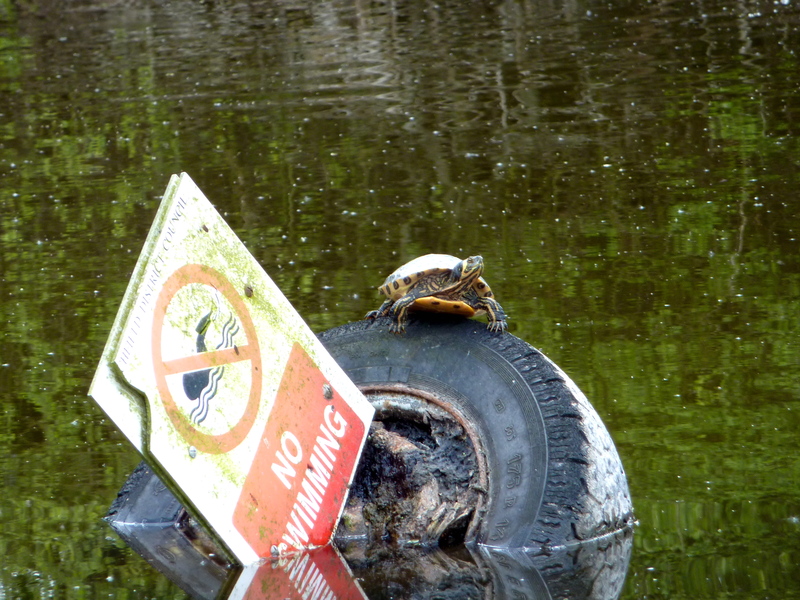 A long lost resident of the Nine Foot Pool, Chasewater, in happier times. Following Brownhills Past supremo David Fellows’ request for information about the long-gone pumphouse near the Nine Foot pool at Chasewater, the reader response was muted, to say the least. After a grand total of zero replies, Graham Evans, wildlife expert, human dynamo behind the Chasewater Wildlife Group and top authority on Chasewater History has stepped into the breech with a remarkable posting on the Chasewater Wildlife Group’s news page. I won’t reproduce this fascinating piece here, as I wouldn’t want to deny Graham traffic, so please click on the screenshot below to see the original article. While you’re there, read that couple of entries beneath it, too. As usual, there’s some excellently candid opinion – as usual from Chasewater Wildlife Group – on the dam works. I have only one thing to add, though; can we please stop talking about the plug going back in? The outlet culvert is currently sealed behind a cofferdam, so no water can drain unless it’s pumped. The contractors are building a vertical chamber around the culvert to prevent it silting, and to make cleaning and inspection easier. This will probably be level with, or above the current waterline. There should be no reason – other than perhaps minimal flushing – to open the drain any more. The work on the dam itself is clearly nearly complete, and since nobody in Brownhills is currently called Noah nor building an ark (to the best of my knowledge), I think we can assume that the spillway won’t be required to see service for a good few months, if not years, yet. The plug is therefore, back in, to all intents and purposes. Graham rightly points out that what we need now is the tap turning on. However, since the swag is already pumped low and a way of being full, and conditions are so dry, I wouldn’t polish your waterskis just yet. To be perfectly honest, after passing Blithfield Reservoir yesterday, I’m very concerned – it too, seems to be at a very low level. This has been one hell of a dry year. If we don’t get rain soon, I think we could be in for considerable problems, and not just at Chasewater. The Chasewater Wildlife Group's news page - featuring an excellent item of the history of the long lost pump. Click on the image to visit their site and read the article in full. This entry was posted in Brownhills stuff, Chasewater, Environment, Followups, Fun stuff to see and do, Interesting photos, Local Blogs, Local History, Local media, News, Reader enquiries, Shared media, Shared memories, Social Media, Spotted whilst browsing the web, Walsall community, Wildlife and tagged Brownhills, Brownhills local history, Brownhills Past, Canal, Chasewater, Chasewater Dam, Chasewater history, Chasewater Wildlife Group, Cycle rides, cycling, Dave Fellows, Graham Evans, local blogs, Local History, nine foot, Reservoir, Staffordshire, steam engine, Steam pump, terrapin, turtle, Wildlife. Bookmark the permalink. That’s a great article!, some really interesting info there. Graham also raises some questions that have puzzled me over the years too. The brickwork on the uncovered culvert looks more mid 1800’s than late 1700’s when the dam was first built. I’ve always been intrigued by the basin that was fed by the 9 foot pool and weir. This itself carried off excess water into the canal by the slipway overflow that still remains. The remnants of what must have been some form of control gates still remain. I’m no expert, but can’t understand why this was needed, when there was a control valve on the dam? Hello to all. I enjoyed reading Graham Evans piece on the pump house at Chasewaters, I take my hat off to you Graham. well done. The amount of ground water is very low locally, dig an 18 inch hole is a field and you will encounter dust! Just look at Stubbers Green and the Swan Pool at the moment, thats the dryest I’ve seen it in 16years! I have always wondered about the history of the structure at the end of the pier. There seems to be connecting pipework beneath the pier but can’t understand its function. Bob or Graham if you have any knowledge of this it would be interesting to know.